Below you fill find all funeral homes and cemeteries in or near Pell City. Suburbs of Pell City: Eden, Glen City, Harrisburg. 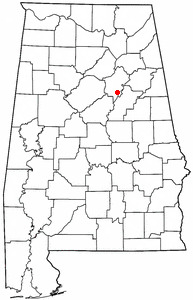 Pell City is also known as: Glen City, Glen City, Alabama, and St. Clair County / Pell City city. Zip codes in the city: 35125, 35128. Some of the notable people born here have been: Offwhyte (rapper), and David Gulledge (american football player). It was reported on November 7th, 2018 that Vivian Mathews (McGuire) perished in Pell City, Alabama. Ms. Mathews was 97 years old. Send flowers to share your condolences and honor Vivian's life. It was reported by New Haven Register on January 26th, 2018 that Timothy A "Tim" Latham passed on in Connecticut. Latham was 49 years old and was born in Pell City, AL. Send flowers to share your condolences and honor Timothy A "Tim"'s life. It was revealed by The Daily Herald on May 23rd, 2017 that Carl Olsen passed away in Illinois. Olsen was 76 years old and was born in Pell City, AL. Send flowers to express your sorrow and honor Carl's life. It was disclosed by The Sun Herald on July 21st, 2016 that Norma Robinson (Steward) died in Hattiesburg, Mississippi. Ms. Robinson was 80 years old and was born in Pell City, AL. Send flowers to share your condolences and honor Norma's life. It was revealed on August 1st, 2013 that Doris E Shepherd died in Columbia, Mississippi. Shepherd was 77 years old and was born in Pell City, AL. Send flowers to share your condolences and honor Doris E's life. It was noted on January 21st, 2013 that Bruce McDonald Anderson passed away in Pell City, Alabama. Anderson was 85 years old and was born in Cumberland, MD. Send flowers to share your condolences and honor Bruce McDonald's life. It was revealed by Winston-Salem Journal on July 16th, 2011 that Mabel "Mel" Burgess (Black) perished in Winston-Salem, North Carolina. Ms. Burgess was 95 years old and was born in Pell City, AL. Send flowers to express your sorrow and honor Mabel "Mel"'s life. It was reported by Knoxville News-Sentinel on July 6th, 2011 that Foster K Cather perished in Maryville, Tennessee. Cather was 95 years old and was born in Pell City, AL. Send flowers to share your condolences and honor Foster K's life. It was revealed by Odessa American on December 16th, 2009 that Edwin L Zachero passed on in Odessa, Texas. Zachero was 52 years old and was born in Pell City, AL. Send flowers to express your sorrow and honor Edwin L's life. For many years, St. Pell City increased its size in 1956 when the nearby towns of Eden and Oak Ridge were merged with the city. Pell of the Pell City Iron and Land Company, one of its financial backers.The city was incorporated on May 6, 1891, but it nearly completely failed during the Panic of 1893. The construction of the Logan Martin Dam in 1964 changed the geography of the town by creating a large lake. The residences of Sumter Cogswell and Green Evans (Pell City’s first mayor) are two of the earliest structures, dating from the late nineteenth century. The official website for the city of Pell City is http://www.epell.net/. Listing all funeral homes in Pell City, Alabama so you can easily send flowers to any location (same day delivery) or find any funeral service. Usrey Funeral Home, Pell City, AL : Reviews and maps - Yahoo! Local, 205.338.0303. Get Ratings, Reviews, Photos and more on Yahoo! Local. Find a Funeral Home inPell City, Alabama AL to provide the caring burial and ceremonial services your family deserves. Find a map, directions and more for Kilgroe Funeral Home in Pell City, AL. We work with local florists and flower shops to offer same day delivery. You will find budget sympathy flowers in Pell City here. Our funeral flowers are cheap in price but not in value.